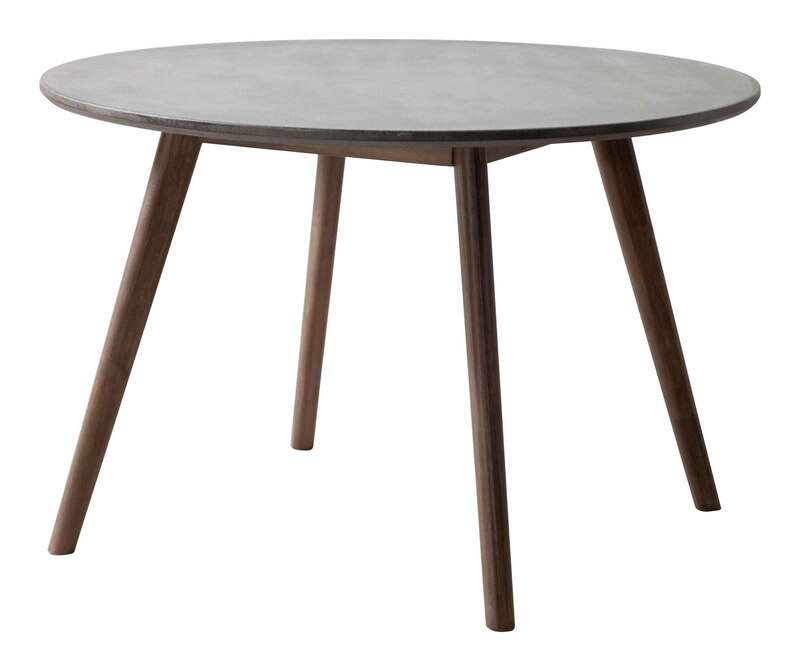 The Elite Dining Table Cement & Natural offers a touch of the mid century modern era with its classic splayed legs and exemplifies strength and style for any space outdoor or indoor. A non-porous epoxy and cement mix is used for the round tabletop and designed to be easily cleaned with any household detergent. 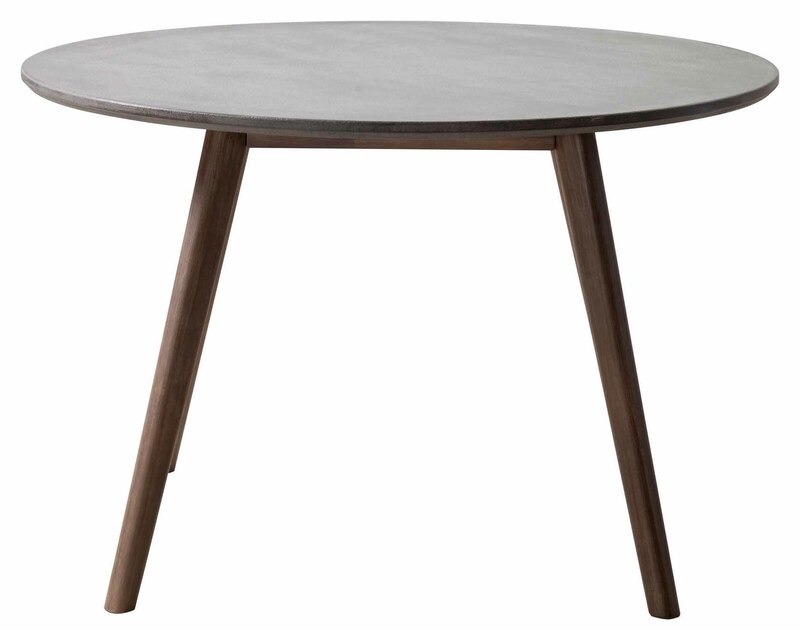 Supporting the solid round table top is a base made of solid acacia wood in a dark walnut stain.